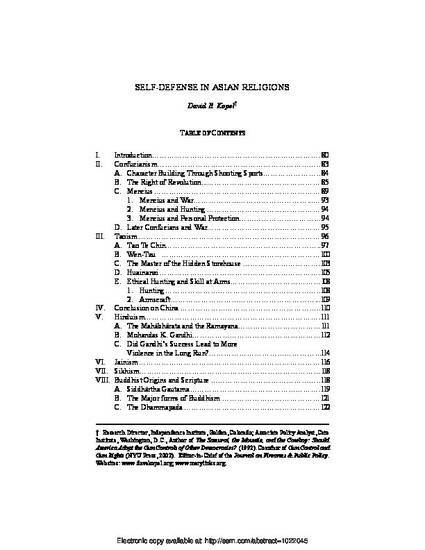 This Article investigates the attitudes of six Far Eastern religions - Confucianism, Taoism, Hinduism, Sikhism, Jainism, and Buddhism - towards the legitimacy of the use of force in individual and collective contexts. Self-defense is strongly legitimated in the theory and practice of the major Far Eastern religions. The finding is consistent with natural law theory that some aspects of the human personality, including the self-defense instinct, are inherent in human nature, rather than being entirely determined by culture.